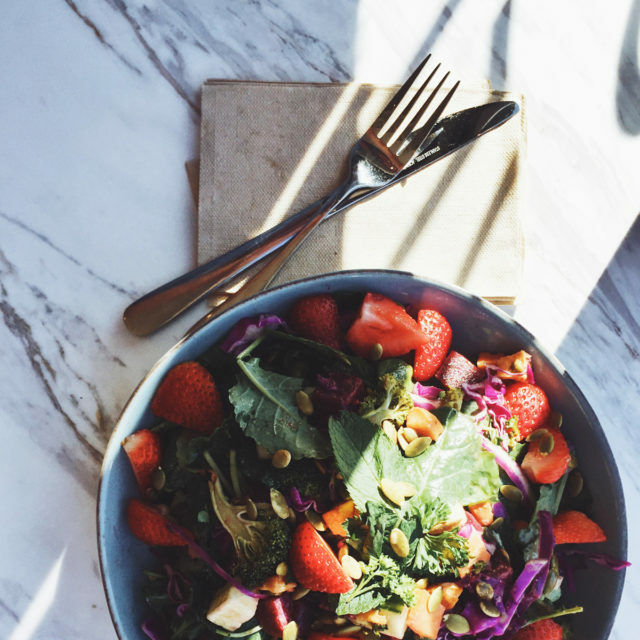 What happens when an Ottawa culinary dream team devotes itself to the art of the salad? Lollo Salads & Coffee, that’s what. 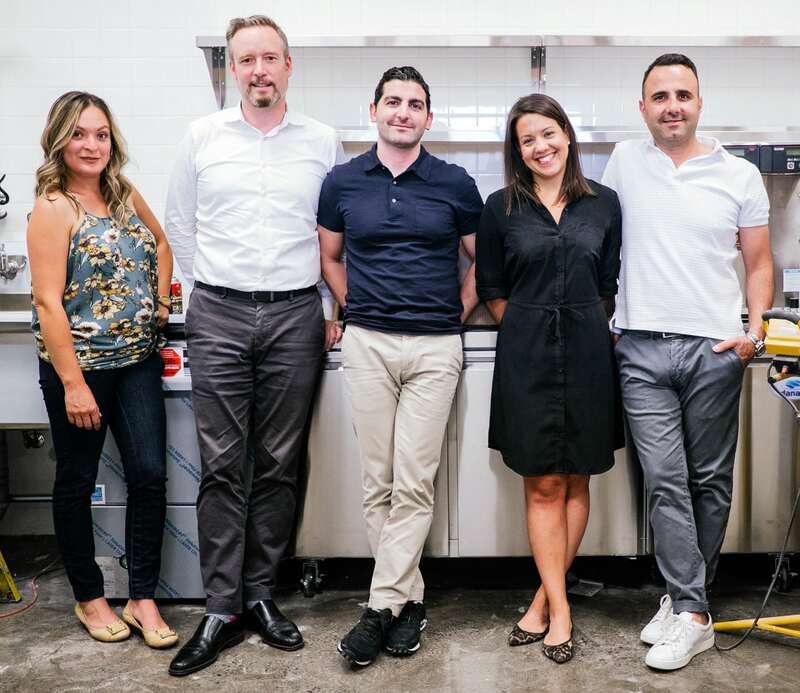 Open just a couple of weeks, the pretty Euro-inspired café in the ByWard Market is a collaboration between Clay Cardillo (a partner in the Beckta Group), cousins Pat Nicastro and Rocco Jr. Nicastro (of Bottega Nicastro), and Chef Jordan Holley (Riviera, Datsun, El Camino). 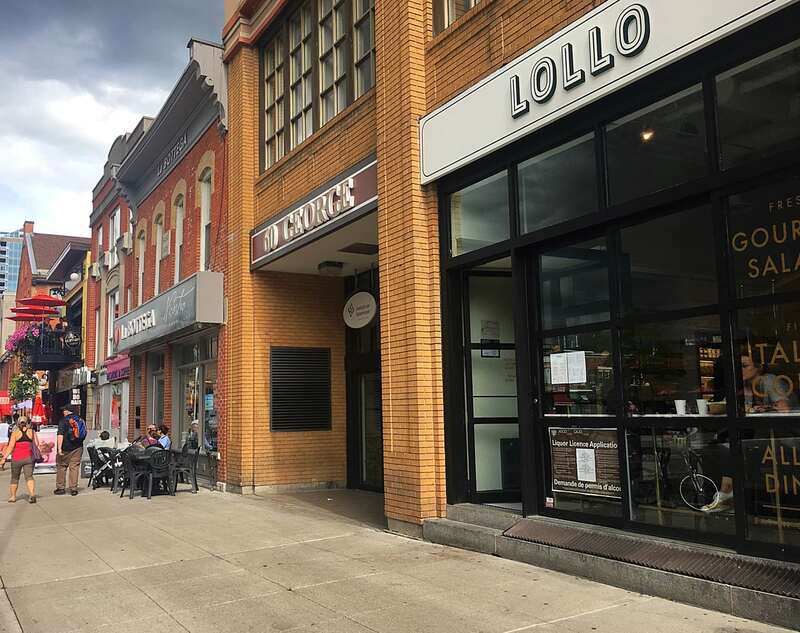 Two other key members of the Lollo team are stars in their own right — partner Larissa Beznaczuk-Smyrnew is a key member of the Nicastro team and Chef Alejandra Rutherford comes to Lollo via Play Food & Wine and the prestigious Rideau Club. At Lollo it appears that salad is being taken very seriously. And yet Lollo has a breezy European vibe — bright, sleek, and relaxed. 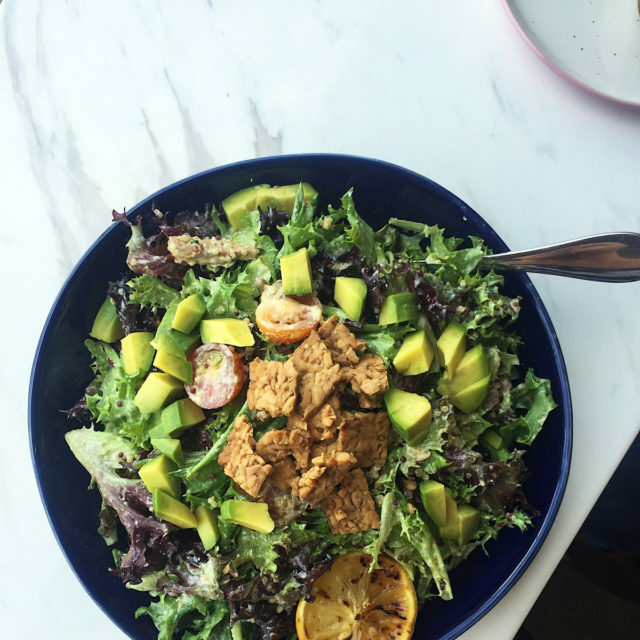 Pop in to grab a coffee or a quick takeout meal or stay awhile, enjoying a leisurely salad while watching the bustle through a giant, all-glass front window. 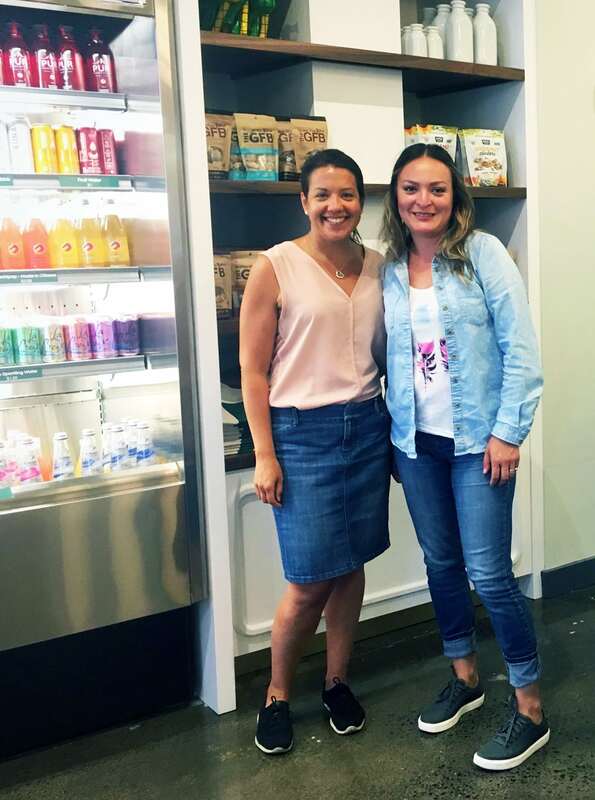 City Bites caught up with partner Larissa Beznaczuk-Smyrnew and onsite Chef Alejandra Rutherford to find out more about Lollo’s salad revolution. Larissa: When we knew the space at 60 George was coming up for rent, it was a great opportunity. But what to open? We discussed a wine bar, but there are already lots of late-night places around here. Then we began talking about how much we loved the all-day cafés in Europe. We were thinking fresh, healthy, fun — coffee, salads, pastries. 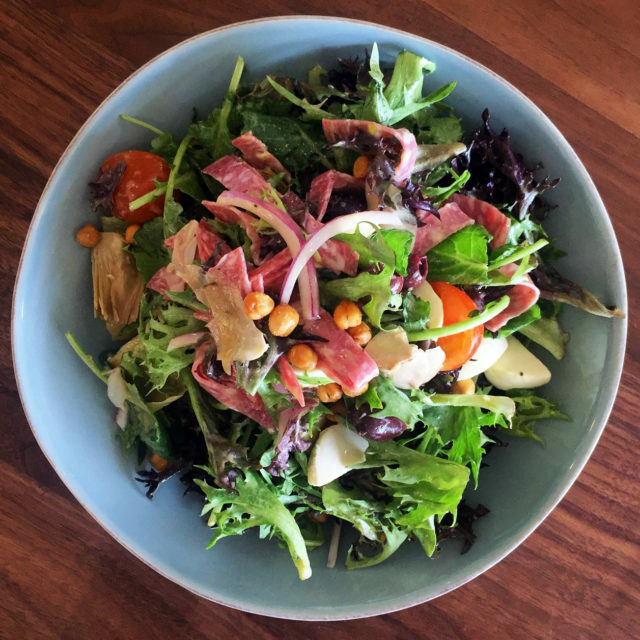 Jordan often stops in [to Bottega Nicastro] to buy cheese and deli supplies — we jokingly asked him if he’d like to try developing salads with an Italian spin and he actually said yes! It was something completely different for him. Clay knew Alejandra through Play Food & Wine and suggested we should have a properly trained chef running the day-to-day operations — someone with a background in fine dining. That’s the kind of quality we want. Larissa: We were thinking of all kinds of Italian names that linked to salad — things like “insalata” and “verde” — but that seemed too literal. Then Rocco suggested “lollo,” which is a type of lettuce developed in Italy. The name sounds fun and playful. Alejandra: Both Jordan and I are used to working in a fine dining environment — lots of rich sauces and butter! This is very different for both of us. Plus, we have very different styles, both in how we put the ingredients together and when it comes to the dressings. That’s what makes the Lollo salads so unique. Before Lollo opened, we did a lot of tastings together and worked on how to respect the ingredients and flavours while working at higher volumes. We started with about 15 salads and narrowed it down to 10 signature salads before opening day. These are truly chef-inspired salads and that makes a real difference. Larissa: We picture Lollo as an all-day hangout. We’ve got a very Italian coffee program, which has been popular; just espresso, macchiato, latte, cappuccino, Americano — really good coffee. We’re still working on the liquor license! We’d like to have the 4-6 [pm] crowd come in for, say, a glass of rosé and snacks.